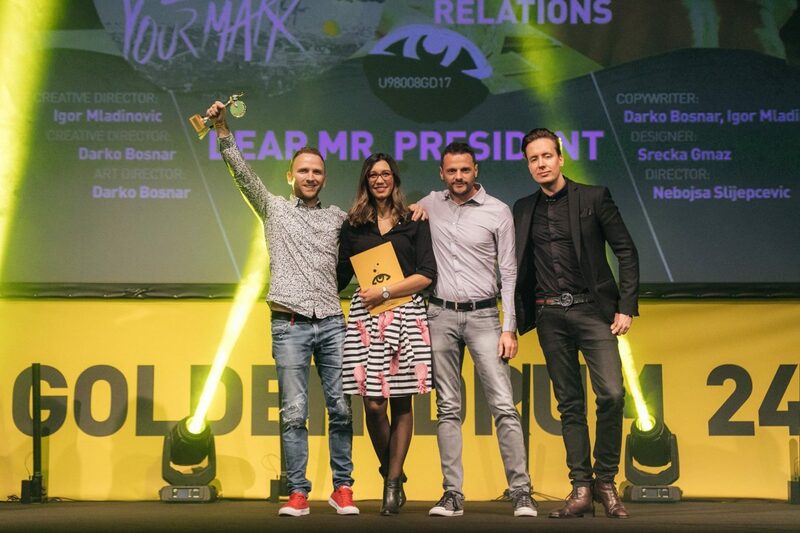 The Mister President campaign created by Imago Ogilvy for Jana has won the most prestigious award at the Golden Drum creative advertising festival in Slovenia. With a unanimous decision of the jury, the campaign was declared the best in the PR category, securing Imago its second Grand Prix in two years. “This project serves as proof that not a lot of money is required to make an idea happen, only hard work, strength and willpower. This is what pushed us to accomplish the project, and besides being very proud of my team having won two awards at this prestigious festival, the biggest award for me is that we’ve truly succeeded in changing the world for the better,” – explains Ivana Mlinarić, project manager from the Imago Ogilvy agency. “When we defined our vision years ago that we wanted Imago to become an agency that would continually receive awards from the biggest international festivals, many merely smiled at us in doubt. Today, after we’ve won awards at almost all relevant international festivals, there is no greater feeling than to reaffirm this every year with a new award. To us, winning an award in the PR category, which according to many is the category of the future, represents a confirmation that we are putting our ideas into action in the best way possible,” points out Darko Bosnar, Innovation Director from Imago Ogilvy.